Strength and core workouts do not have to a boring ordeal for you at the gym. If you improvise a little with a trampoline, you can have as much fun as possible while still toning your muscles. But did you know that playing a trampoline is also good for your health? As you jump up and down the trampoline, your body realizes a sense of weightlessness which turns to be a tremendous amount of force as you land on the mat. It is this landing and lifting of your body off the trampoline that imparts a myriad of health benefits for you. In the end, as you stay healthy, you inadvertently prolong your life and live longer. It might sound unorthodox because most other people rely on healthy eating and other workout routines for a healthy life. Are you still wondering why a trampoline can help you to live longer? This article will provide all the answers you have been looking for. The requirements for a longer life can be equated to those of keeping your house in top conditions. You have to ensure the drainage system and waste collection mechanisms are always in order. The same goes for your body. The lymphatic system is responsible for discharging toxins from your body, which in essence translates to a longer life. 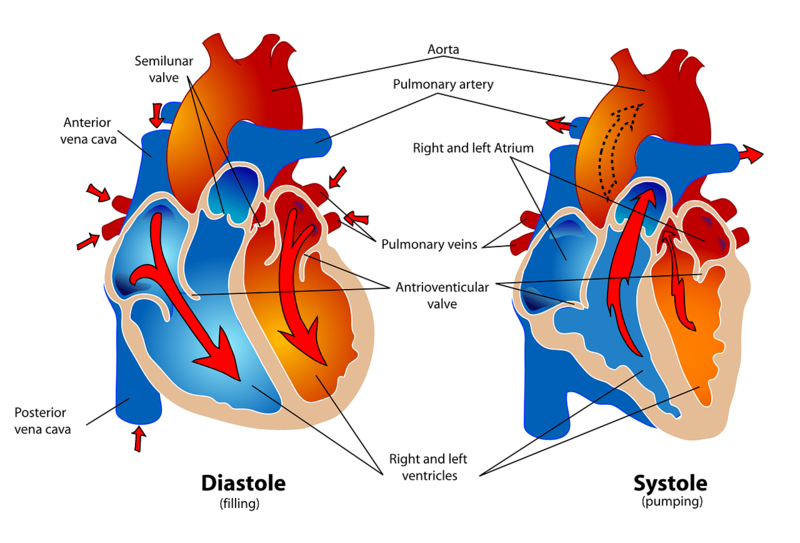 Your lymphatic system comprises of vessels that transfer fluids to and from the heart. It also maintains a proper fluids balance, as well as eliminating toxins. This system of vessels relies on body movements alongside contractions in muscles to work effectively. Body movements against gravity such as when jumping up and down a trampoline contribute to how effective it becomes, hence leading to a healthier and more immune human body. 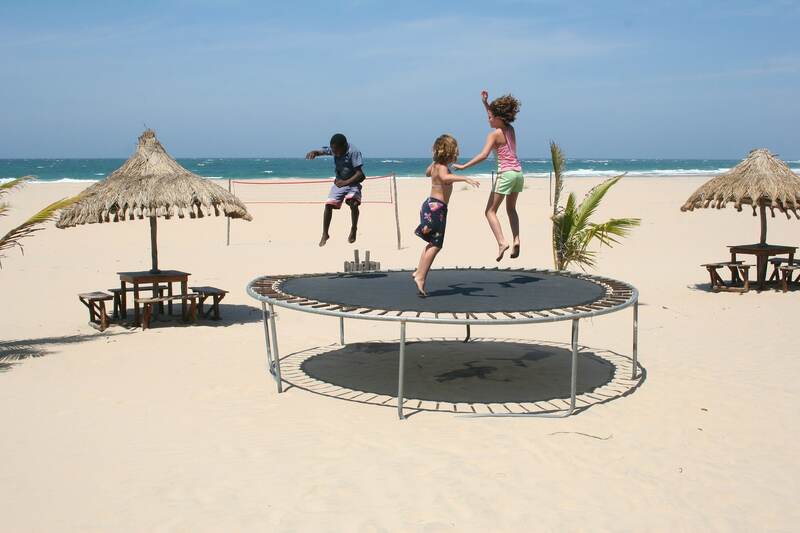 Using a trampoline does not only help in removing your toxins and boosting your immune system. The human cardiovascular activities, which rely on how well functioning the heart is, also stand to benefit. Workouts such as jogging, walking, and jumping on a trampoline do your heart lots of good. Findings by the Journal of Applied Physiology of National Aeronautics and Space Administration (NASA) shows a significant correlation between playing a trampoline and better health of the heart. These findings indicate that using a trampoline is more effective than running for a better heart. Jumping on a trampoline would, therefore, be a safer way of averting cardiovascular conditions in people exposed to weightlessness. Moreover, using a trampoline has a lesser impact on your joints, heels, and hips than running or jogging on hard concrete sidewalks and paths. Maintaining a healthy weight is key to you living a long prosperous life. If you want to burn excess fats in a more fun workout session, then jumping on a trampoline is one of the best ways of doing so. The good thing is that you don’t have to jump up and down. There are a host of other exercises that you can do on a mini trampoline. In the same NASA findings, rebounding on a trampoline for about one hour burns a significant amount of fats. To lay more emphasis on just how effective a trampoline is at losing weight, it has been established that for the same one hour, you would have lost more calories than someone jogging. As you are aware, burning excess fats leaves you healthy as you become less susceptible to cardiovascular problems. While at it, remember not to overexert yourself. You could also use trampolining boots for maximum benefits. Extended periods of strenuous activities lead to less breathing, which lowers your metabolism rates. Therefore, rebound at a moderate pace for about 15 to minutes for at least thrice a week. Besides ridding your body of toxins, your lymphatic system is an integral part of your immune system. It is what prepares your body’s defense mechanisms against infections, diseases, bacteria, and viruses. All of these work against your body, thereby shortening your life. A larger percentage of the lymphatic system is composed of white blood cells, also known as lymphocytes. Science has it that lymphocytes are the ones that fight diseases and foreign micro-organisms deemed as a danger to your well-being. The white blood cells also destroy any abnormal and damaged cells in the body. To effectively undertake these life-prolonging functions, the flow has to be uninterrupted. As you rebound, the valves in the lymphatic system close and open at an increased rate, therefore, boosting the rate of flow of lymphatic fluids. As you rebound on a trampoline mat, you multiply the Gravitational forces felt by your body. At the same time, your body does not suffer from injuries such as fractures and shin splints common in running and jogging workouts. So, how is increased bone density related to a prolonged life? One of the conditions that strengthened bones help prevent is osteoporosis. This condition makes bones extremely porous, increasing the chances of bones fracture. A classic example is in astronauts. As a response mechanism to reduced exercises in astronauts, their bones become more porous in the zero gravity environments. Trampoline works to strengthen your bones, tendons, ligaments, and joints. Consequently, your susceptibility to arthritis conditions is prevented. The elderly too stand to benefit from increased flexibility by playing on a trampoline. Their muscles lengthen and strengthen in the process. If you usually develop varicose veins, then rebounding is one of the known natural ways of getting relief. Varicose veins can be basically described as a health condition which leads to the enlarging of the blood veins in the legs. In the process, valves in the veins do not close properly. Several factors lead to the development of varicose veins, such as emotions and bad body postures. As you rebound on the elastic trampoline mat, blood flow in your body increases. This increased flow rate results from reduced vessel constrictions and increased flexibility. More blood flow means less pressure felt in the veins. Blood does not also accumulate in the veins, which is often the cause of the inflammations and pains that accompany varicose veins. Additional relief ways would be to drink more water and wear the right fitting pair of shoes. The up and down movements on a trampoline are an effective way of pumping fluids throughout the body. These positive effects are translated to the thyroid glands. Once triggered, the thyroid gland cleans itself of stored fat as well as cellulite. Too much cellulite in the body causes the appearance of dimpled skin as a result of protrusions from the subcutaneous adipose tissue. In a way, trampoline exercises aid you eliminate these protrusions by triggering the flow through the lymphatic system. The rhythmic up and down movements associated with jumping on a trampoline have been proven to be healthy for your digestive tract. In the rebounding processes, your stomach muscles relax and contract in a rhythm reminiscent of the typical tract movements. Digestive tracts are made up of muscles which contract and relax more than before. These tendencies improve digestive peristalsis which results in efficient absorption of nutrients. Effectively, people with compromised digestive systems realize better nutritional health. As your body gets and subsequently absorbs the nutrients it requires, it becomes easier for the body to self-heal and rejuvenate. Moreover, healthy intestines allow for the quick passage of consumed food and then rapidly discharges wastes out of the body. Oxygen is a vital component if you want to live longer. Research conducted by scientists at NASA indicate that the more you jump on a trampoline, the more you increase your rate of cellular oxygenation. High oxygen saturation in the body makes it inhospitable, resistant to rogue cells, germs, and viruses. By jumping on a soft, elastic trampoline, an energy surge in your system generates more oxygen. Your lungs then increase in size to accommodate the elevated supplies. Since pathogens are anaerobic, they rarely survive in an environment that is saturated with oxygen. You will realize that after a period of playing on the trampoline, you naturally become more resistant to flu, colds, and diseases than you were before. Feeling relaxed, happy and having clarity of focus are some of the contributing factors to living longer. Jumping on a trampoline helps you achieve exactly that. There is no better way of reducing your stress levels as well as spiking mental health than by jumping on a trampoline. The increased oxygen circulation in body tissues, especially in the brain helps you focus and concentrate on tasks. On the other hand, triggered endorphins production induces the feeling of happiness for a sound night’s sleep. I believe you now know a thing or two regarding how a trampoline can help you live longer. Jumping on a trampoline helps you to live longer in some ways that you never imagined. After going through these, I am sure you cannot wait to get started on some of the available exercises on a trampoline. Why not purchase yours and reap these benefits from the comfort of your house? When deciding on the best trampoline, settle on one with lots of padding. It protects you and your kids from the hard surface that is not good for joints. Has jumping on a trampoline afforded you a benefit you feel I haven’t mentioned, kindly tell me all about it in the comments section.